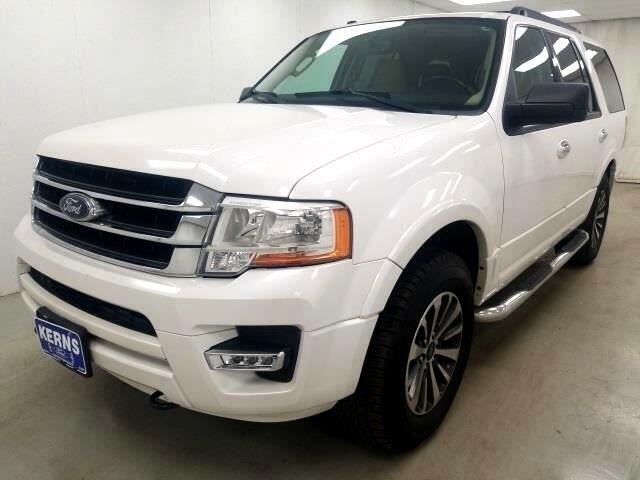 2015 FORD EXPEDITION..XLT PACKAGE..LOADED..HEATED LEATHER SEATS..BLIND SPOT DETECTION..TRAILER TOW..3RD ROW SEATING..ALLOY WHEELS..REMOTE START..FULL POWER..115 POINT SERVICE COMPLETED..CALL.New Price! Expedition XLT, 4D Sport Utility, 4WD, Dune w/Heated & Cooled Perforated Leather Fr Bucket Seats, 110V Power Inverter, 3rd Row 60/40 PowerFold Split Seat, ABS brakes, Alloy wheels, Ambient Lighting, BLIS Blind Spot Information System, Compass, Dual-Zone Electronic Air Temperature Control, Electronic Stability Control, Equipment Group 202A, Heated door mirrors, Heated front seats, Heated rear seats, Heated/Cooled Front Seats w/10-Way Power Passenger, Heavy-Duty Auxiliary Transmission Oil Cooler, Heavy-Duty Radiator, Heavy-Duty Trailer-Tow Package, Illuminated entry, Integrated Trailer Brake Controller, Leather Trimmed Bucket Seats w/220A, Leather-Trimmed Bucket Seats, Leather-Wrapped Shift Knob, Low tire pressure warning, Memory Package, MIC Black Power Heated Mirror, Power Liftgate, Power Tilt/Telescopic Steering Wheel, Radio: Premium Sony Sound System w/Single-Disc/MP3, Remote keyless entry, Remote Start, SiriusXM Satellite Radio, SYNC Communications & Entertainment System, Traction control. At Kerns Ford Lincoln & Truck Center, whether you've got great credit or bruised credit, we have the car / truck / SUV / van for you. We believe in Live Market Pricing to ensure our prices are very competitive and minimize the back and forth negotiations that most shoppers aren't big fans of. Give us an opportunity to earn your business -- you'll be glad you did!